Generations of Energy is a spinoff of Calumet Winterization started by Melissa Davis at New Power Tour with the help of Kiwanis and ETEC. 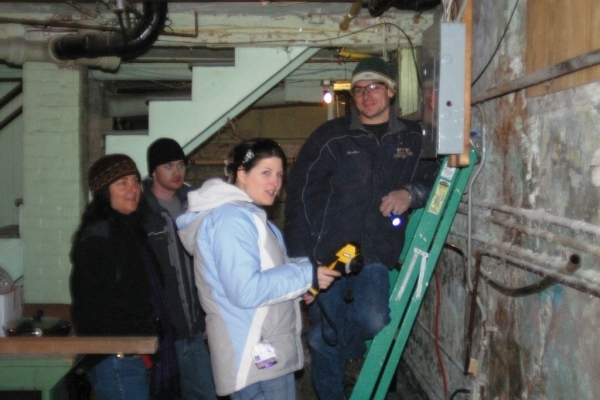 Generations of Energy provides assistance to low income elderly people by providing the materials and labor to make homes more efficient in the winter months by insulating homes and sealing air passages. ETEC began managing the project when we were able to secure a sponsor for the community action project. The Ford Motor Company Funded through a Ford College Community Challenge (Ford C3) sponsored the program. Due to the funding provided by Ford Generations of Energy has multiple partners at Michigan Tech that include New Power Tour, Inc, high school enterprise teams at the BRIDGE and New Horizons, Youth Programs at Michigan Tech, Martineau & Morris Contracting, and Thermal Analytics, Inc. Generations of Energy’s scope of work includes winterizing 30 homes over a two year period. Generations of Energy was started in August of 2009 and 15 of the 30 homes have been completed as of May 2010. Generations of Energy students work with at risk high school students to teach them valuable lifelong skills while providing mentorship to students and to promote continuing education.